Everything Everywhere, the parent company of Orange and T-Mobile, is preparing to launch as a consumer-facing brand, with its first ad campaign set to go live in October. According to sources, the network operator will launch a digital and above-the-line campaign targeting consumers, in a move casting doubt on the future of the individual Orange and T-Mobile brands. 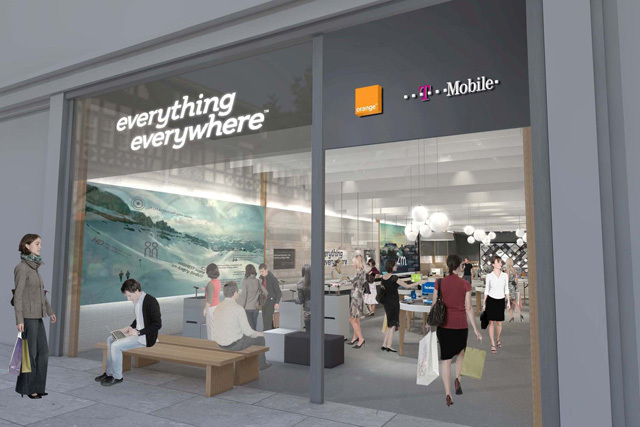 The mobile group, formed from the merger of the two networks in 2010, has already widened the Everything Every-where brand with 30 high-street stores that offer both T-Mobile and Orange services. However, all the company's 720 stores, including T-Mobile and Orange outlets, sell products for both brands. In April it emerged that it had identified 31 UK towns with both Orange and T-Mobile stores, which it would replace with Everything Everywhere stores. Saatchi & Saatchi is understood to be working on the ad campaign; SapientNitro is handling the digital activity. Speculation has mounted as to the future of the two mobile brands after the company released a bond issue prospectus in January, floating a 'substitution for one or both' of them. Last year, Everything Everywhere's chief executive Olaf Swantee labelled the company's name 'silly'. The launch of Everything Everywhere as a consumer brand comes as the company campaigns to bring the first 4G network to the UK. It has run trials and trademarked 'Everything Everywhere 4G'. Rival networks O2, Vodafone and Three have criticised its plans. Ofcom was due to announce the details of the 4G spectrum auction this week. Everything Everywhere, Saatchi & Saatchi and SapientNitro all declined to comment.